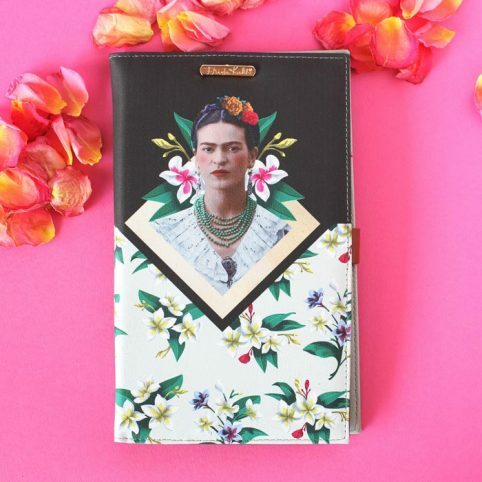 Stand out on your travels with this vibrant Frida Kahlo Passport Holder. This balance of Frida, florals and green colours on the exterior, contrasted by the wow-factor of the bright mustard, red and toned-down cream colours of the interior. There is the added bonus of extra pockets for cards and other travel essentials; there is one large compartment for documents and three smaller sections for your cards. 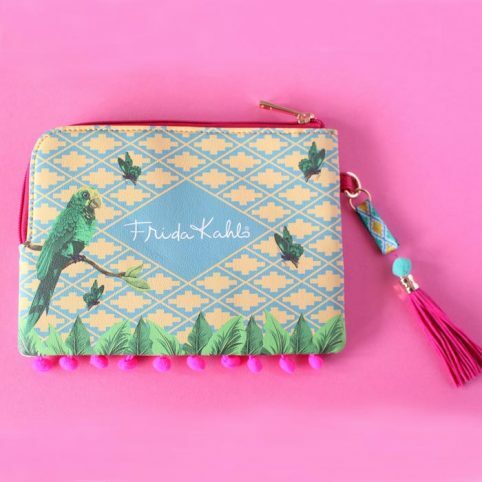 Categories: Accessories, Bags & Purses, Brands, Christmas, Gifts, Gifts For Her, Gifts From £10 - £20, NEW, Personal Accessories, Stocking Fillers, Travel.